Since time inmemorial, dogs have been known to be the most loyal animals. All dogs are loyal but other species of them seem to have a greater quantity of loyalty than others. But the question is…to whom do they owe their loyalty? Dogs have been crowned the number one companions of humans because of their great need for friendship, love, security and companionship. These being pack animals; they have a genetic sense of submission to their pack so is to their human ‘friends’. At times it can be disappointing if you dedicate all your time and energy to your dog pet but it actually doesn’t seem to care who feeds them, takes them for a walk and worse falls in love with every stranger they come across. This is why there’s a great need to identify the most loyal dog breeds and give them the first priority when looking for a dog to pet. Therefore, in this article the main idea is to analyse the most loyal dog breeds and the dominant attributes they possess that qualify them as the best. The German Shepherd as from his name, is a dog breed that originated from Germany in the 1880s. If you’ve ever heard of this dog breed, it’s maybe from the police and military. This is because he is an intelligent breed that’s more than willing to learn new things and cable of working tirelessly. The German Shepherd naturally bond with familiar faces and are loyal to their masters. They have an ingenious instinct of being overprotective of their family and territory with training. Definitely this is worth your consideration. Are you looking for those small hound breeds? Well, the Beagle might be exactly what you’re looking for! The modern breed of the Beagle originated from England around the 1830s and has a life span of about 12-15 years. In most cases, this particular dog breed is used for hunting. They have an exceptional sense of smell and tracking skills which make them quite suitable for hunting as well as home security. They might be snoopy but this works for your own good. What more would you be looking for if not this lifesaving companion? More to that, they are widely known for their kind and gentle nature. The Akita is a large breed that traces her origin from the mountainous northern regions of Japan. This particular breed has a noble and intimidating presence because of her fearlessness. She can be affectionate and respectful to its owners if well trained and allowed to socialize with people. Initially she was used to guard royalty and nobility in feudal Japan. This is the one breed that will never retreat in case of ‘war’ or any other challenges. Akita will never be frightened by anything whatsoever. If you ask anyone who has had one as a pet, they can bet this one doesn’t get along with strangers. They love their owners and will definitely pay their loyalty to them. They were originally from Scotland but were migrated to the northern part of England to hunt rats. There is little knowledge about the first Yorkshire terrier. This breed was believed to have risen from selective breeding with the ones that arrived from Scotland. The Yorkshire fall in love with cuddles and sitting on the owner’s lap. They are very sharp and will never fail to announce any stranger approaching. As the owner, you will have to bond with her at early stages so that she gets to record you as her number one friend. Most Yorkshire are not comfortable walking on a leash at first, until you get to teach them how to behave. She is quite peaceful with other pets hence she is the ideal loyal dog to have. Sometimes other dogs may view her as a play toy and hence try keeping her on the leash or in a fenced home with occasional visits to the park. They also require frequent brushing and combing to prevent their fur from becoming a matted mess. If you are in love with grooming and keeping your pet clean always, then Yorkshire can actually be your new addiction. Imagine your own personal rescue whenever there is an avalanche! St. Bernard originated from the Tibetan Mastiffs breed. During the colonial periods in Switzerland they were used as watch dogs in Roman colonial houses. After several crosses with the dogs from the Alps, they were taught how to rescue tourists or locals from avalanche in the 18th century. This means they are very good learners and only require training from the owner. Fun fact: Did you know that there’s a statue of Barry on display in the National museum of science? This is a sign of great respect for this breed for their commendable rescue tactics. They are very intelligent species with strong sense of smell and direction. They are clam and playful around family members. They only bark to announce any arrival from strange individuals but they are not aggressive. St. Bernard dogs can easily associate with other pets and are known to be very loyal to their master. They are believed to originate from France hence the name ‘Brittany Spaniel’. With their unique hunting skills, the main reason for the existence of this breed is for exactly because of their unique hunting skills. She is small and stands about 20 inches tall to the shoulder. Their beautiful coat come in boldly patterned coat with combinations of orange and white. They have large ears which is probably the reason for their eagerness. They are very energetic but require a lot of exercise which works better with their owner. She is good with kids but may require constant supervision. Their shedding is seasonal and may require weekly grooming just to keep clean. She is very alert and will always bark whenever there is a stranger approaching your home. Dogs of this breed are usually kept for their unique hunting instincts. They are very sensitive and can react to any emotional changes from the owner even a simple stare. Since they are sensitive, they can be easily trained. The Golden Retrievers are very friendly making them popular in the U.S. There are different myths and theories of the origin of this species but none has been actually proven to be true. In the 19th century during the development of guns, they were used as service dogs and retrieved birds. Afterwards they were taught how to hunt animals. The Golden Retrievers have evolved from a selective breeding experiment to their current traits. Their large size makes them cuddly to the owner and the family members since they don’t just get attached to the owner but everyone friendly to her. While this might be an adorable trait to most, it is actually disadvantageous when it comes to security purposes. This breed seems to be welcoming to everyone and there are no hostile or aggressive characteristics in them. It is recommended to houses with frequent visitors and also areas with kids since she is very playful. Being a service dog in its early days, she can assist in some house chores but be careful not to overdo her because she can work until exhaustion. 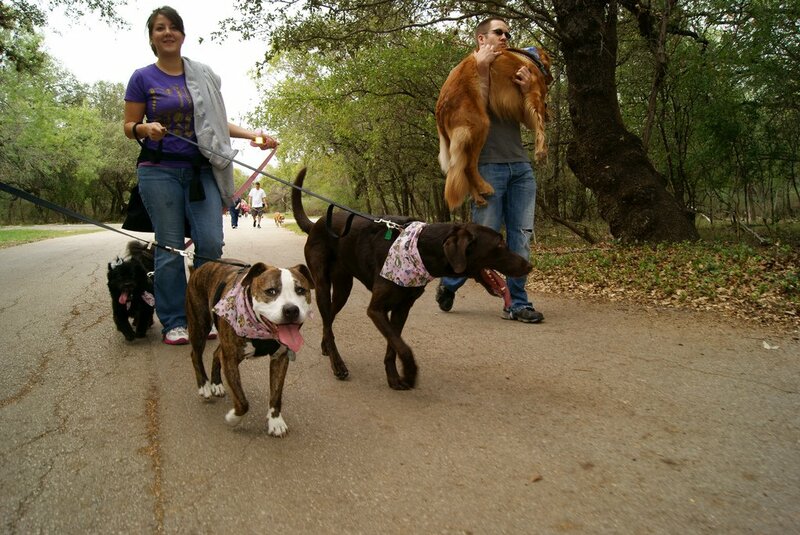 This particular breed is commonly known as the Amstaff in the United States of America. He was originally from England until enrolled in the American Kennel Club and had his name changed. This is a cross breed between bulldogs and various Terrier breeds. This breed is known for his bravery, loyalty, stubborn, attentive and dominant nature. He’s a suitable family member considering that his friendliness with children. They are free with some of the other household pets like the cats if they are introduced to them at an early age. This dog breed might not be so popular but she’s a very loyal one. They are well known for their intelligence, sensitive and balanced nature. Unlike the other breeds this one rarely barks unless circumstantial. They are also known for their bravery but the most intriguing nature about them is their loyalty. 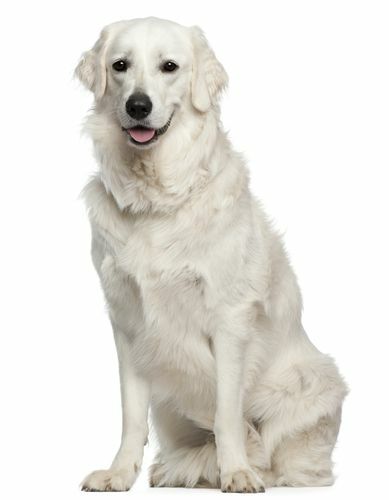 The Kuvasv has a tendency of being dominant over other pets and dogs. They however are overprotective of their playmates; may it be little kids or their fellow dogs in case of danger. To family members, the dog is friendly and very devoted but to strangers very hostile. This is a badger dog with a German origin with a life span of about 12.7 years. It is short-legged, long-bodied hound type of a dog breed. Commonly known as the ‘hotdog’ in reference to its long body. Initially, the were bred for the purpose of hunting badgers as well as chasing rabbits and foxes through tunnels because they have large paws and strong hind legs suitable for digging. In the current world, they are used as companions and pets in consideration of their adaptable nature. More to that they are at times used as show dogs as well as hunters. Although might seem small, these dogs are very protective of their families and have a very strong sense of humour making them fun to be around. One of the strongest breeds in the dog family. She has a majestic body but let that not fool you since she is as cuddly as any other dog. They have undergone a lot of adjustment from the ages of fighting against humans and animals to being a house dog. Mastiff usually grow to very large sizes. They are attached to their owners and the family members especially kids. They are very overprotective making them the perfect security dog. Training a mastiff is an uphill task and it should begin as early as possible. They require a strong trainer who will be able to manage. Since they are very overprotective, they need to be taught how to socialize from when they are puppies. This will help them to be welcoming to visitors and relate well with the neighbour’s children. Their barks are loud enough and always scare away intruders from your homestead. Sometimes their barks can be excessive and need to be taught early enough or else it can get out of hand. She has a life span of about 6 to 10 years so will definitely be around for quite some time.Generally, if you are looking for a masculine, protective and at the same time loyal dog, mastiff is the dog for you. Imagine having your own luck dragon? Pyrenees are beautiful to any dog lover. Their origins can be traced back to the Pyrenees mountains of southern France and northern Spain. They have been used mostly by the old time shepherds to guard their livestock. She is known for her fearless and confident character not forgetting to mention affectionate especially around kids. The Great Pyrenees is also known to be very overprotective around its family members or flock but her natural instinct is to be patient and loyal whenever possible. They are usually territorial and will bark at intruders or guests when they visit your home yet comfortable with guests once they see their master is. They can live for 10 to 15 years and weigh about 50 to 59 bounds. She has a thick and wonderful coat that easily gains affection from anyone. They are actually lazy in warm weathers but are very active in snow and cold. They are known for their love and affection to their masters. This is one dog breed that will never turn and be aggressive to their owners. Rough Collie originates from the boundary of England and Scotland. They were used for guarding flocks and also directing them during the search for pasture. With time they were domesticated and are now found in common homesteads. They have a very high IQ level, sensitive, gentle and above all loyal to their masters. The rough collie will get along with other pets in your house as well as other dogs too. She requires a lot of training so that she can adapt to their environment. They are usually full of energy and play well with kids. They have a strong bond with their owner hence changing ownership can be quite hectic for her. They are also protective of their family members and can relate well with kids. The rough collie has a unique sense of direction. Although not aggressive, they can sense negative energy from people around them and in search cases they can attack. If you want to enhance your kids’ leadership skills and also have your kids well protected, then get the rough collie. She will serve you more than you can imagine. It’s also known as The Tall Great Dane. As the name suggests she is very tall. She can actually be taller than most people when standing on her hind legs. An average of about 7 feet tall when standing. She is hard to miss when she passes. They are thought to have originated from German. She is also known as the German Mastiff. Let her majestic nature not blind you, she is actually a gentle breed and most people call her ‘the gentle giant’. She doesn’t show extreme aggressiveness or hyperactive nature. With proper training, she is great around children especially when she grows around them. Most kids are usually sceptical about the Great Dane but they just need some getting used to. However, if she is not properly trained she can be aggressive to strangers and new places too. Most experts recommend training since this breed has a tendency for leaning and sitting on their owners. You can imagine all that weight on you! She was a symbol of heroic war dogs from around the world. With her energetic and fearless character makes her very hard to miss once you see her. They were known to have been first bred in Apolda, Germany. Their nobility and temperate character has earned them a place in the most loyal dogs. In other cases, she is usually used as a show dog. They are well known as they have a high IQ and can be used as guard dogs. Her personality can vary but when well training and given love and care, she is a very family dog. Their high IQ makes it easy for them to be trained, can communicate effectively and solve any adjacent problem. If properly trained they are wonderful with kids. The Doberman is the ideal family dog. They are very energetic and act as amazing playmates as well as guards around children. They have a lifespan of about 12 years and can weigh about 45 kilograms in males and 35 kilograms in females. This breakdown of the most loyal breeds will be help you to easily chose one that will be most suitable for you. You don’t have to worry about making the wrong decision. Be sure to have your pup well trained as this stands out as one of the basic requirements to having a well behaved doggy.